Omaha, NE – A place for young artists, of every genre, to show off their work is now open on the streets of Benson. Alex Jochim is a bartender, local artist and organizer of Benson First Friday. On a sweltering afternoon this past Friday, he opened the door, sweat dripping into his mop of curly hair, to what was a vacant storefront just off Maple St. in downtown Benson. 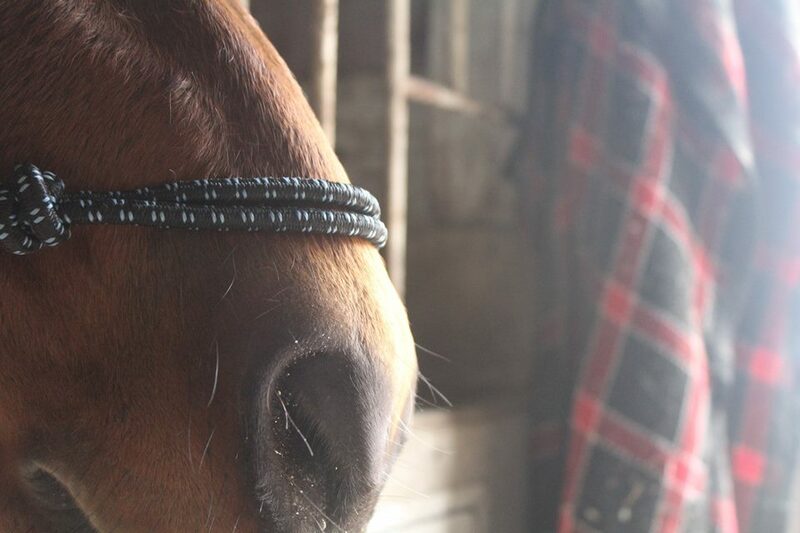 The room is dusty and smells a bit like… dogs. Which makes sense, the store used to be a pet shop. Jochim leased the building so that he and a group of fellow artists could turn it into gallery space. 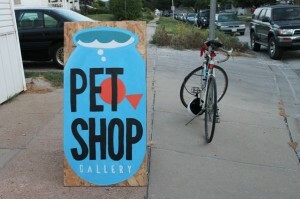 Next door, he and co-organizer Jamie Hardy have already cleaned up a second space and turned it into, as a namesake, the “Pet Shop Gallery.” The gallery (2725 N. 62nd St.) is the starting point for the First Friday art walk. 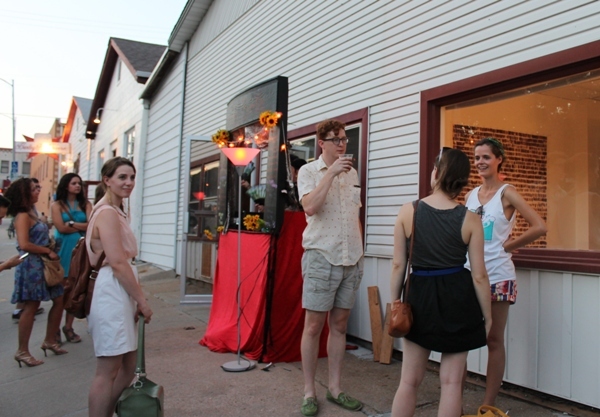 Benson’s first First Friday kicked off in June. It’ll be a year-round event designed to showcase local artists of all kinds. While Omaha’s Old Market already has a First Friday of its own, Hardy said Benson’s will be a little more “cutting edge,” one that shows off the neighborhood as a burgeoning creative hotspot. “Benson’s our neighborhood,” Jochim said. Later that night, the Benson neighborhood did come out. The heat continued well after the sun went down, but dozens of people walked through make-shift galleries, while DJs spun records on street corners and fashion designers turned walkways into catwalks. 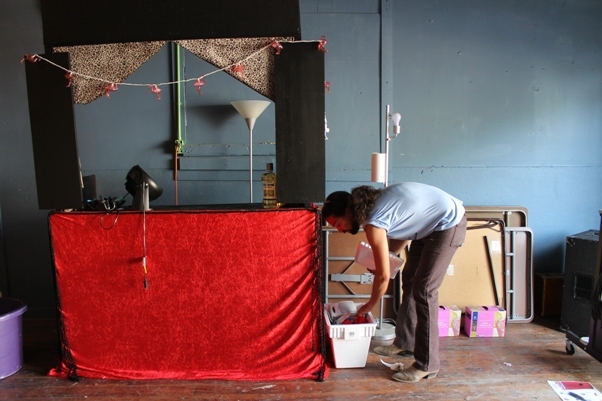 A few blocks down, Jill Bunnimit manned an Artists Market, set up in another soon-to-be-restored Benson space: the Benson Theater. The Artists Market featured clothes from a vintage clothing store a few blocks west, Lion’s Mane Vintage (6607 Maple St.), along with jewelry and paintings from artists around town. Bunnimit said open settings like this encourage less established artists to showcase their work – with a little more freedom. “It’s a little more freedom of speech here,” she said. For now at least, that freedom of speech also involves a lot of kissing on the streets. Back at the Pet Shop Gallery, Alex Jochim donned an appropriately campy leather vest at a makeshift kissing booth. Along with selling t-shirts, it’s one of the few fundraisers the group has to keep the art walk going. So far, he said, the money was rolling in.